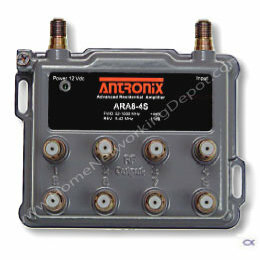 Provides 4dB of forward gain from 54Mhz - 1Ghz. Passive return band 5-42Mhz (for proper cable modem operation). Patented CamPort™, SCTE compliant F-ports are made of machined brass, nickel plated & water sealed to 15 PSI all ports.